Bellevue Veneers. For those who wish to improve a misaligned smile, our porcelain veneers in Bellevue can be an ideal option to improve crooked or discolored teeth. Veneers or Lumineers of the right size and color can help achieve a beautiful set of white and naturally aligned teeth, create a great smile, and also enhance self-esteem. Veneers are an extremely fine and thin shell that is designed to be placed on the facial surfaces of the teeth (the front areas that you can see in the mirror head-on). Made from porcelain or resin, they are bonded directly to your teeth. The result is a beautiful natural looking smile! 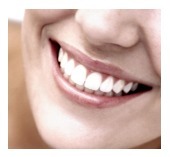 What are some indications for veneers? Front teeth that are not ideally lined up and you would like them straighter without having to do orthodontics and braces. Because porcelain veneers typically are so thin, a very conservative approach can sometimes be used, as only minimal tooth structure may need to be removed. Your dentist will decide on how much tooth structure needs to be removed, depending on the depth of discoloration. The procedure typically takes 2 appointments: the first appointment the dentist will go over with you the appropriate shade and shape of the veneers, prepare the teeth as necessary, and take an impression to send to the lab. A temporary restoration may be fabricated as well. Approximately 2 weeks later, the veneers are then tried on to make sure the color, esthetics, and shape are just right; they are then adjusted, cemented, and polished as necessary. Your dentist may also suggest that you avoid some foods and drinks (i.e. red wine, coffee, soy sauce, blueberries) to avoid internal staining. Occasionally a veneer may chip or come off as the restoration ages, but most people are extremely satisfied and happy with their long-term smile and results. Celebrities have used veneers to improve their discolored or misaligned teeth. The list of some actors and artists who have employed veneers to improve their smiles include Tom Cruise, Nicolas Cage, Zac Efron, Miley Cyrus, and Celine Dion. Our office provides porcelain dental veneers in Bellevue, WA can improve the shape, color, and alignment of your teeth, and make your smile look as natural as possible. If you have any questions about cosmetic dentistry contact us today at (425) 614-1600 for a free consultation to decide if they are right for you.